No Man’s Sky seems to be taking forever, but it’s time to cut Hello Games some slack. No Man’s Sky developer Hello Games wasn’t exactly a household name before its unique space adventure debuted at VGX 2013. A comparatively tiny team, it had been making bank on the Joe Danger series while it worked up to its true passion project. But after that first look? Everything changed. Even when we knew almost nothing about the project (remember the whole “but what do you actually do“ thing? ), hype went through the roof. 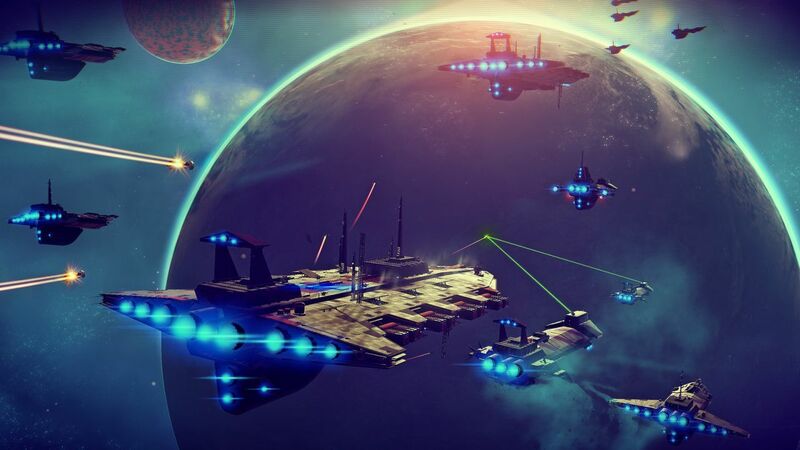 The more we learned, the more we wanted it – to the point where No Man’s Sky’s delay to August from June saw the development team receive death threats. Reminder: this is an entertainment product and if you consider this a reasonable response it is time to talk to a therapist and make a genuine effort to better yourself. “We knew that people would be disappointed, and we’ve certainly heard a lot from some who decided to tell us all about that,” Hello Games founder Sean Murray said in a lovely little letter to the No Man’s Sky community. “No Man’s Sky is the hardest thing I’ve ever worked on. It’s even bigger than you can imagine. This is a type of game that hasn’t been attempted before, by a smaller team than anyone would expect, under an intense amount of expectation. “And despite all of that, development is genuinely going well. This is the hardest working, most talented team I’ve ever worked with, and I’m so proud of what we’re doing. For all our sakes though, we get one shot to make this game and we can’t mess it up. Murray said No Man’s Sky “is getting better and better”, and that it’s “amazing” to see it happening despite the hours Hello Games is putting in, working “super, super hard”. No Man’s Sky releases in August for PC and PS4. If you’ve somehow missed this whole thing, it’s an absolutely whopping procedurally generated space sandbox, in which every player explores a universe generated from an identical seed. Exploring planet side and in space, players gather resources, battle enemies, evade the space police, trade, upgrade their ships and equipment and eventually strike out for the heart of the universe, which is a loose end goal. Everyone starts somewhere different and your chances of meeting up are slim, but if and when it does happen there’ll be some sort of multiplayer, though not in a traditional form.